Like to read? Like to talk? Like to eat? Join one of our teen book groups where you can enjoy a snack and participate in a fun discussion! Note: This year, 9th graders are welcome to join whichever group best suits their preferred reading material and busy schedules. 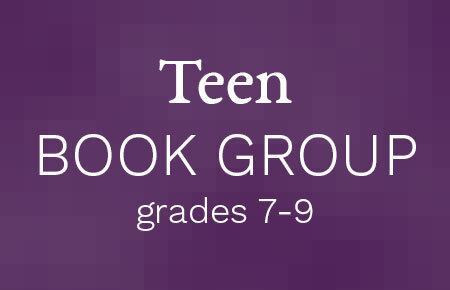 To join Teen Book Group for Grades 7-9 or Teen Book Group for Grades 9-12 contact Jill Hayes at jhayes@cwmars.org. Sign up for the book group, and we will request for you a copy of the book we will be discussing.